Bullying is by no means a new problem. 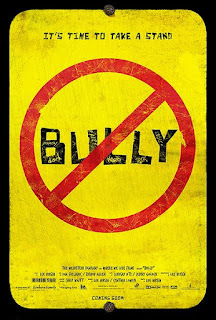 In fact, if I learned anything from watching the new documentary BULLY, it's that very little has changed since I was a schoolkid, and bullying was far from a new phenomenon then, either. And yet, the reactions of many adults in positions of authority, the ones who could do something about the problem, to a large degree remain just as clueless today as they've ever been. This is perhaps best exemplified in a scene where an assistant principal asks a bully and his victim to shake hands and apologize to each other, as if this were merely a misunderstanding that both parties were equally to blame for. The audience I saw this with, including myself, knowingly laughed at this shocking display of ignorance. It's either that or cry. In terms of making its point that bullying is a serious problem that can't simply be dismissed with the old “kids will be kids” excuse, BULLY is an effective film. For those fortunate enough not to have experienced bullying firsthand, or to have forgotten what it was like, this may serve as a much needed wake-up call. It's also a heart-wrenching portrait of just how far the effects of bullying can go. Two of the kids highlighted in the film killed themselves rather than continue to endure the constant abuse; another pulled a gun on her tormentors. 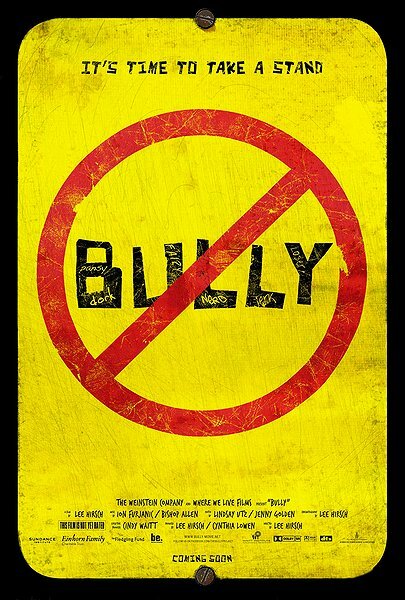 The film also follows a few kids currently being bullied, with the young boy Alex getting the most screen time. Things get so bad during the filming that the filmmakers had to stop being objective observers and intervene, showing their footage to Alex being tormented on a school bus to his parents and school officials. As important as it is to see just how bad bullying really is and the damage it can do, BULLY never tries to dig below the surface to try to understand the underlying causes, or offer any ideas about what could fix the problem. That would be fine if this were a true cinema verité kind of documentary that simply showed us its reality without comment, but this is a film that intends to be a call to action. As such, it seems to me that it relies far too much on pure emotion. I think what's here is a good film, but it's ultimately a little too lightweight to be a great one. 3 out of 4 stars. Thanks Charles, I wish I would have remembered to mention that in my review. I don't have a grudge against Cleveland.com, but I'm posting this link about the movie from Scene Magazine (a publication I used to freelance for and which I believe you and Pam still contribute the occasional piece to) instead because it has a trailer for the film in question.